We strive to provide each and every patient that passes through our doors at Coleman & Coleman Advanced Dentistry with a healthy beautiful smile. Within our smile gallery, you can see before-and-after photos of the many positive changes that are possible with cosmetic dentistry procedures; however, we also value the words of our patients as an important indication that we are doing our jobs to the very best of our abilities. Read below for a sampling of letters, emails, and reviews that our patients have written about their experience with Coleman & Coleman Advanced Dentistry. If you have questions, or if you would like to schedule a consultation here at our practice, please contact us today. "I cannot say enough to my friends and family about the wonderful people surrounding an awesome dentist in Dr. John Coleman. I have, nearly my whole life, been very self-conscious about my smile, coupled with a childhood apprehension of dental visits. From the minute I walked into Dr. Coleman’s office, I was made to feel at ease. Dr. Coleman put extreme detail in his explanation of procedure. I have received compliments on my smile from both family and strangers alike. I no longer have to cover my mouth with my hand in embarrassment when I smile. I have a newfound confidence. Thank you Dr. Coleman and staff." 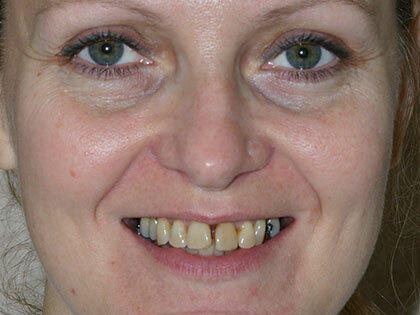 "Upon making a decision to have my teeth straightened, I was somewhat hesitant and unsure of what my options were. After a consultation with Dr. Coleman, I decided porcelain veneers were a great alternative to braces. I was very impressed with his knowledge, expertise, and professionalism. After just two visits, I had a beautiful and flawless smile! Some of the nicest compliments I have received have been from the other dentists who have commented on how beautifully my veneers have been done. I now show my smile with confidence every chance I get!" "The spaces between my teeth and their pointedness have always bothered me. I couldn’t believe it, until Dr. Coleman convinced me, that in only two appointments I could have the smile I really wanted. Not only did I leave that day with temporary veneers that looked great, but I went about my normal routine without any problems." "As a practicing dentist in North County for 21 years, I was so impressed with Dr. Coleman’s expertise that my family and I became his patients. 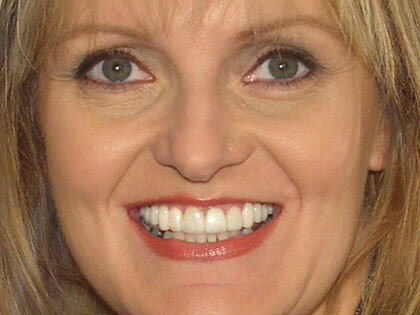 Dr. Coleman has improved the smile of several of my patients and employees. His work is exemplary and the result outstanding. It is the perfect complement to facial cosmetic surgery." "My experience at Dr. Coleman’s office was awesome! I have a beautiful smile to prove it. During my first visit, the doctor took digital pictures and reviewed X-rays. A few days later, he went over his plan for my smile enhancement. We went over costs, and the doctor explained all my options. I could do a portion of my procedures to help with costs. I opted to do the whole enhancement. Kim was so helpful in scheduling all my appointments and gave me many options for payments. I was made so comfortable at my initial treatment sitting, Jessica and Sue were there for my every need, including heat and massage while Dr. Coleman worked in my mouth. It was a long procedure, but the time sped by. I left the office with all the temporary work done. I went back to work with no discomfort. I went home and ate and drank normally. My family was amazed, and so was I. My temporary work was so great! My smile was so great! Two weeks later, the work was completed. I want to express my sincere thanks to Dr. Coleman and his professional staff for the wonderful service and for the fun we had together!